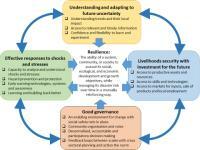 Resilience is central to sustainable development and responding to the challenge of climate change. 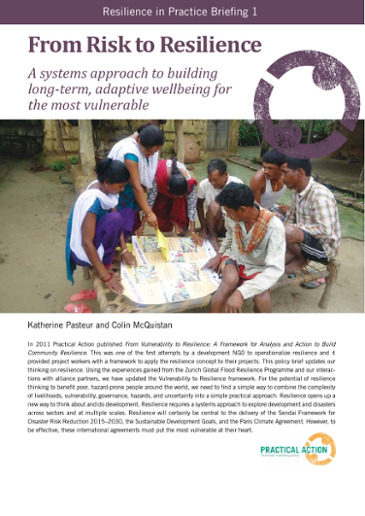 With this series, Practical Action will contribute to the resilience debate with learning from our experiences of building community resilience on the ground. 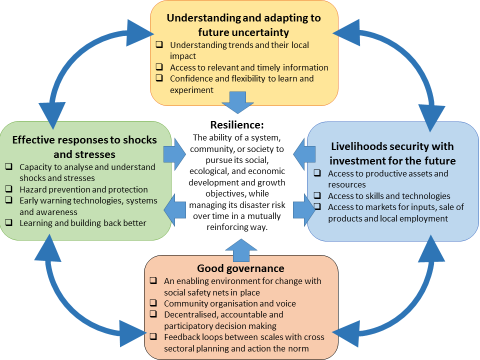 Practical Action's 'From Vulnerability to Resilience Framework' (V2R) has been influential across the development sector, providing a foundation for analysis and action to build community resilience to disasters and support adaptation to climate change. 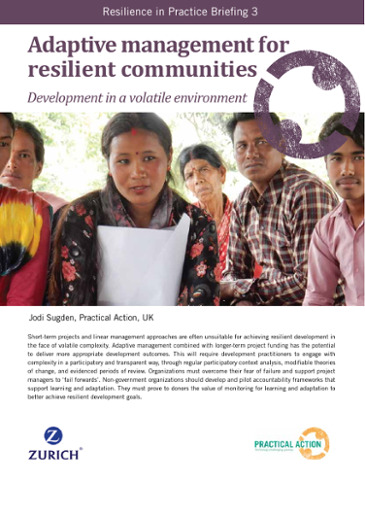 In each country we work in, Practical Action focuses on those specific areas of the V2R framework where we add value and that are critical to achieving lasting pro-poor systemic change that protects development gains against disasters. 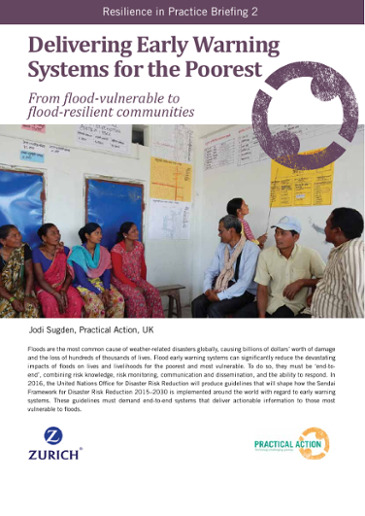 The Zurich Flood Resilience Programme gives Practical Action an unprecedented opportunity to develop and demonstrate innovative and creative approaches to improving the resilience of poor, flood-vulnerable communities. The Resilience in Practice Briefing Series will share our experience and examples of best practice in resilience-building work around the world.